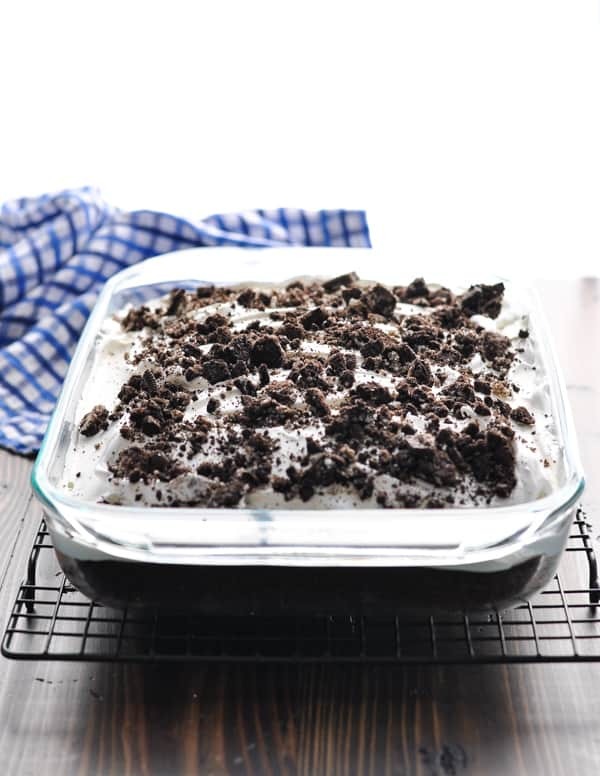 The perfect party food, this Oreo Poke Cake is an easy dessert recipe that everyone loves! 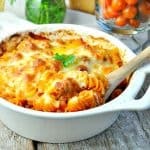 The perfect party food! 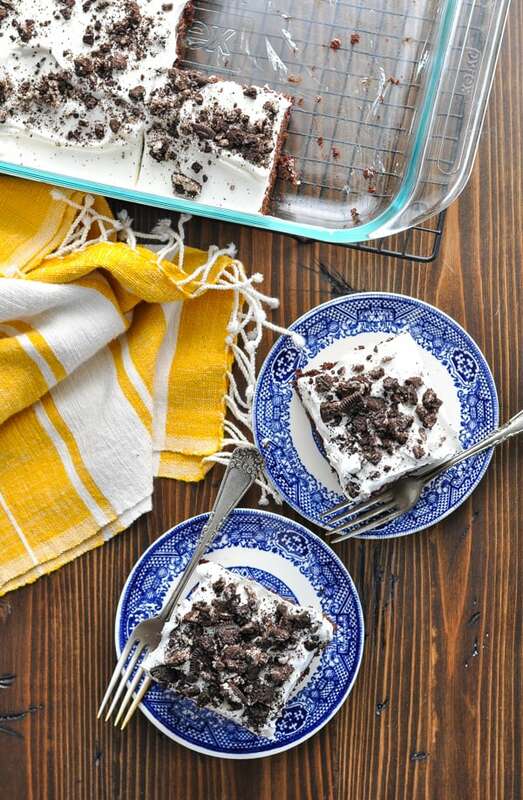 This Oreo Poke Cake is an easy dessert recipe that everyone loves! 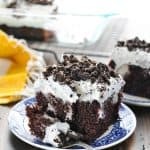 The chocolate poke cake with vanilla pudding is topped with a fluffy frosting and crushed Oreo cookies for the ultimate decadent treat! 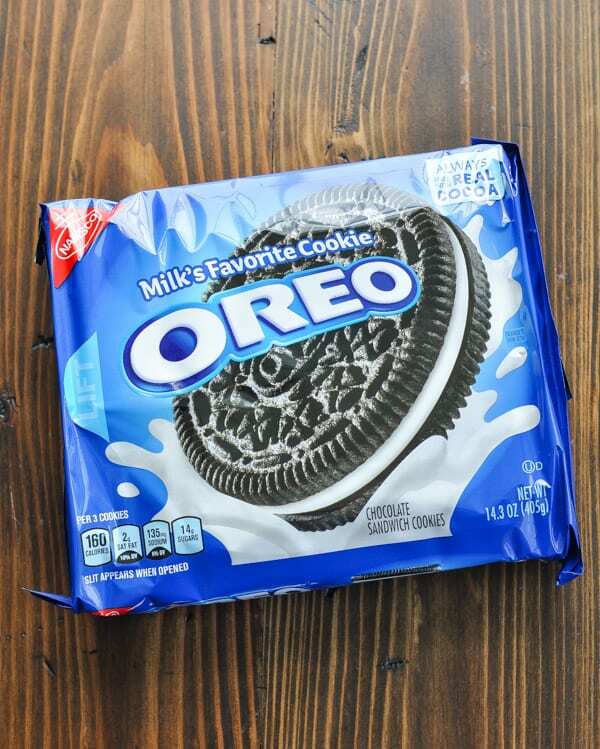 If you love cake, or if you love Cookies n’ Cream Oreos, then you’re bound to adore this sweet combination. It’s truly the best of both worlds! 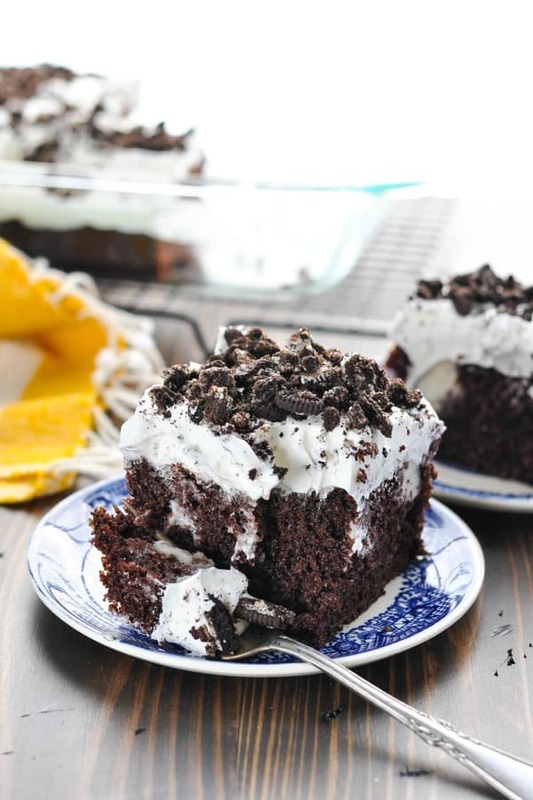 The vanilla pudding keeps this chocolate cake incredibly moist, while the Oreo cookies add just the right crunch on top! The Poke Cake with Jell-O pudding is a perfect potluck dessert, or even a nice treat to follow dinner on a special evening at home. “Poke Cake” refers to just about any cake that is poked with the end of a wooden spoon and filled with either pudding, Jell-O or any other sweet concoction. There are endless poke cake ideas, with flavors ranging from coconut and caramel to lemon, strawberry and vanilla. 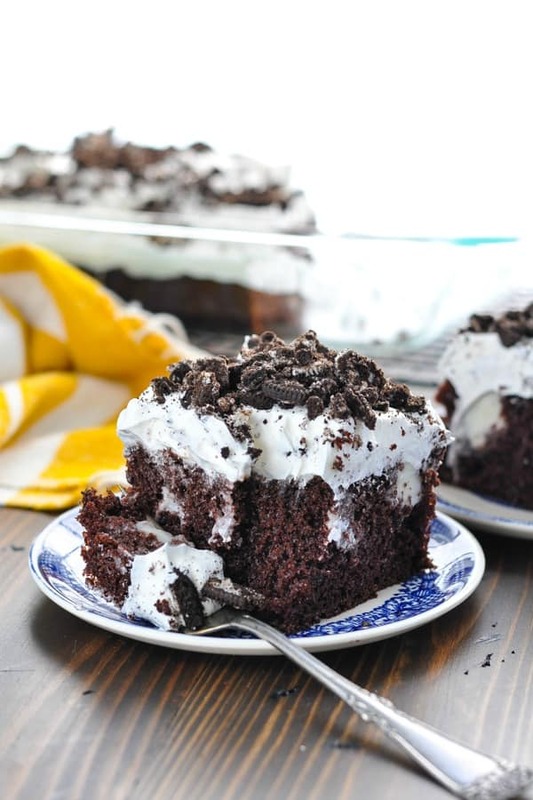 This chocolate Oreo version is definitely one of the best poke cake recipes out there! 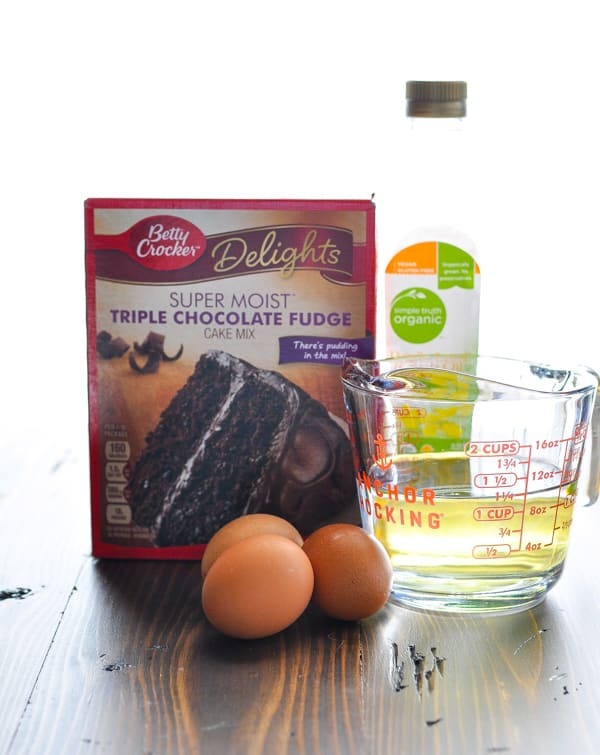 First, start by baking a chocolate cake mix in a 9 x 13-inch pan according to the package instructions. While the cake is still warm, use the end of a wooden spoon to poke holes all over the cake. Then prepare a box of vanilla or white chocolate instant pudding according to package instructions. The pudding will be soft-set in just 5 minutes! Use a spatula to spread the pudding onto the warm cake, making sure that you press the pudding into each of the holes. Once the pudding is spread all over the cake and filled into each hole, place the cake in the refrigerator to cool completely. This will likely take about 2 hours. Once the cake is completely cool, it’s time for the frosting! 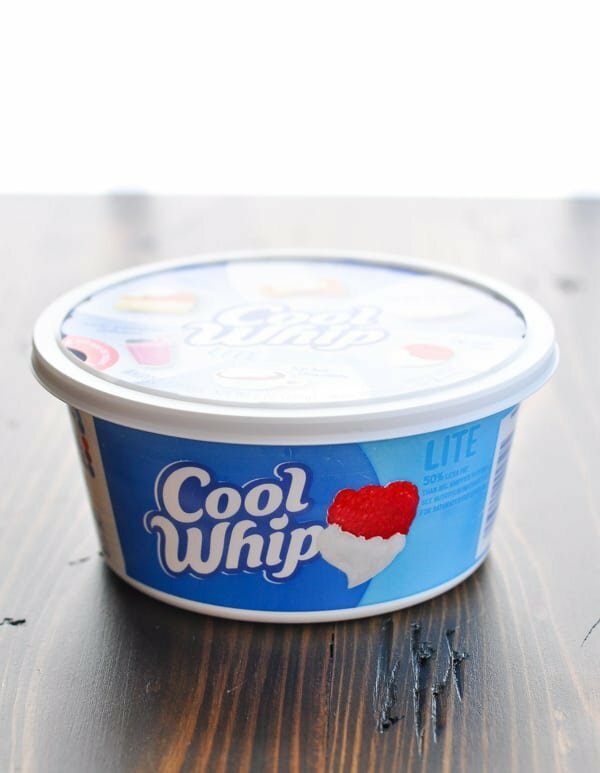 I like to use a container of Cool Whip, which has thawed in the refrigerator overnight. Spread the whipped topping evenly over the top of the cake, and then refrigerate the cake until you’re ready to slice and serve. Just before serving, add the Oreos! 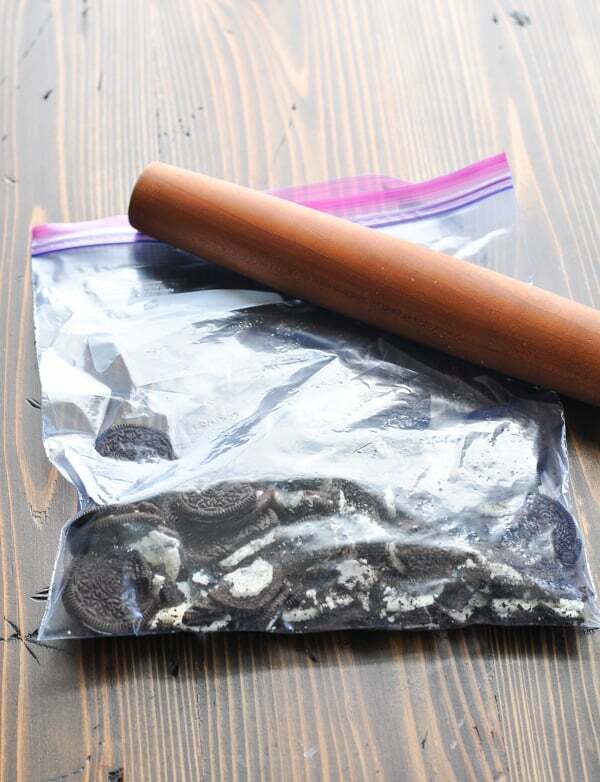 Use a Ziploc bag to coarsely crush Oreos with a rolling pin. 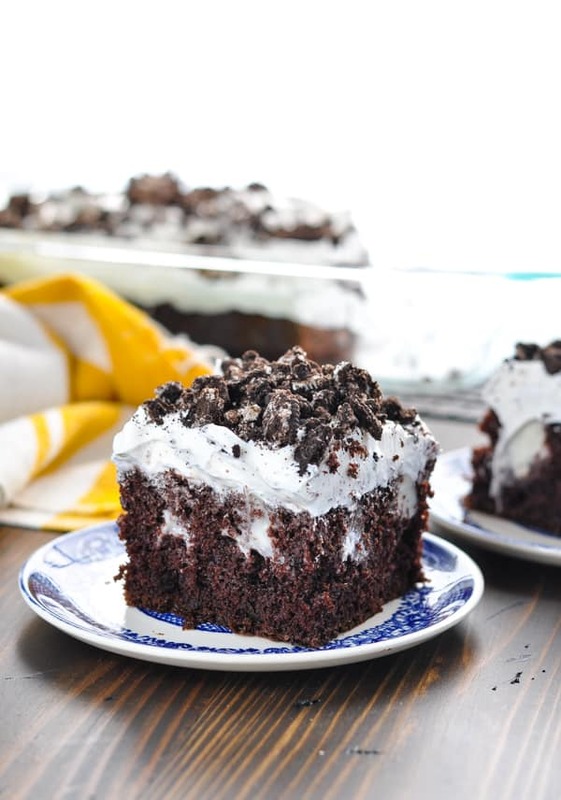 Sprinkle the Oreos over the top of the cake, just before serving. This way the cookies won’t get soggy as the cake sits in the refrigerator. When you slice into the cake, you see the little pockets of pudding throughout — just like the filling in an Oreo cookie! Absolutely! In fact, I would suggest that you make this poke cake at least one (or even 2) days ahead of time. It seriously just gets better as it sits, giving the pudding more time to infuse and moisten the cake. Can Poke Cake be frozen? 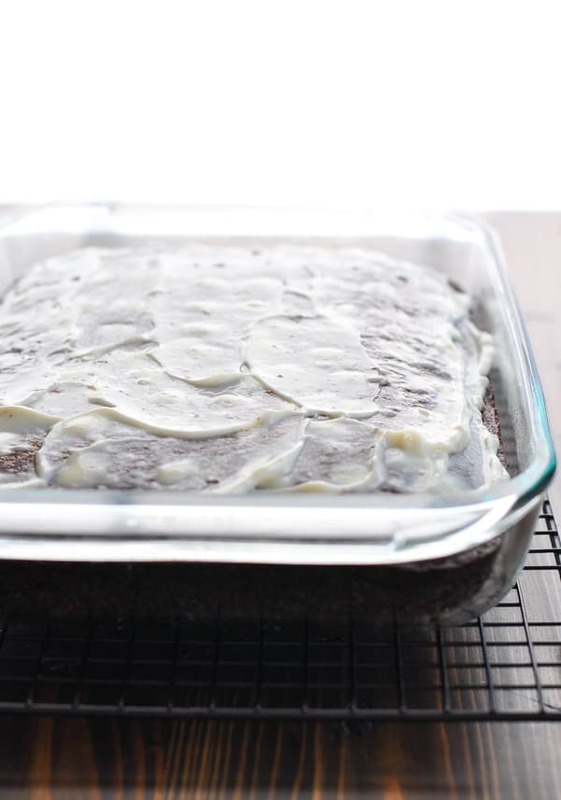 A pudding poke cake can be frozen before adding the whipped topping. I would suggest that you make this poke cake at least one (or even 2) days ahead of time. It seriously just gets better as it sits in the refrigerator, giving the pudding more time to infuse and moisten the cake. 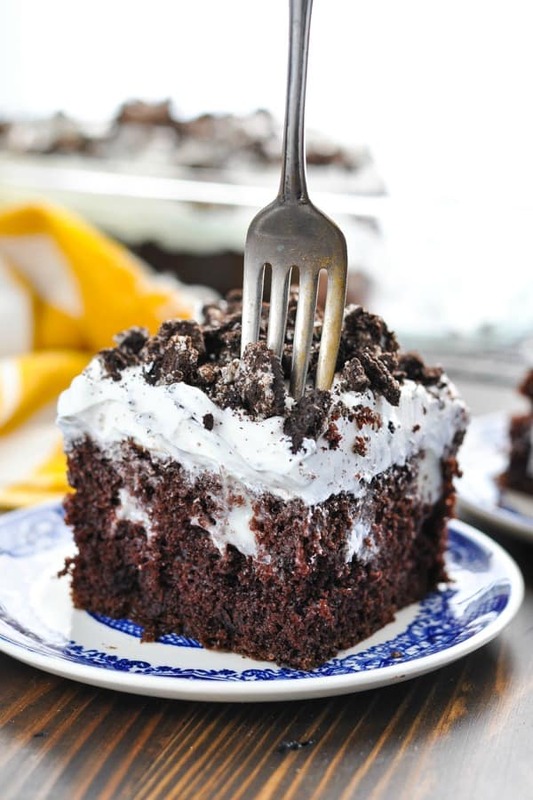 Don’t add the crushed Oreos to the top of your cake until you’re ready to serve. The cookies tend to get soft after a day or so in the refrigerator, so it’s best to wait and add them just before slicing the cake. 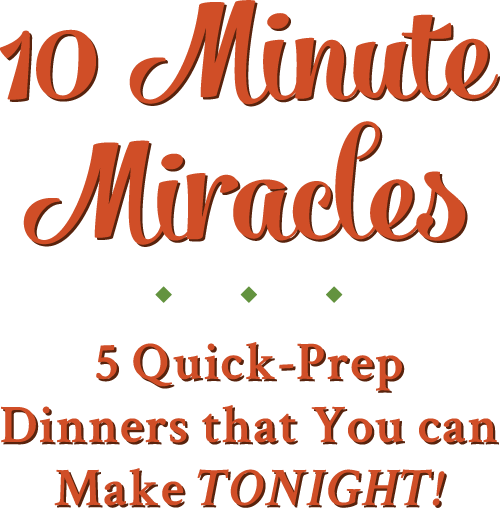 You can use either vanilla instant pudding or white chocolate instant pudding. Sugar free or regular varieties are both fine. I do not recommend using the French Vanilla instant pudding flavor, because that pudding is tinted yellow and will not look like an Oreo filling. 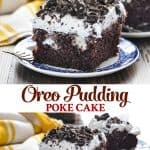 Make this a Coconut Poke Cake by using Coconut Cream flavored instant pudding, a chocolate or a white cake, and a sprinkling of sweetened shredded coconut on top in lieu of the Oreos. Make a Caramel Poke Cake by swapping out the pudding filling and pouring caramel ice cream sauce into the holes of the cake. 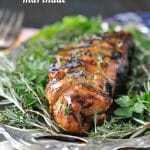 This is also delicious! Sprinkle crushed Heath bars or Butterfinger candy bars on top in lieu of the Oreos. Prepare a Lemon Poke Cake by using lemon cake mix and lemon pudding. 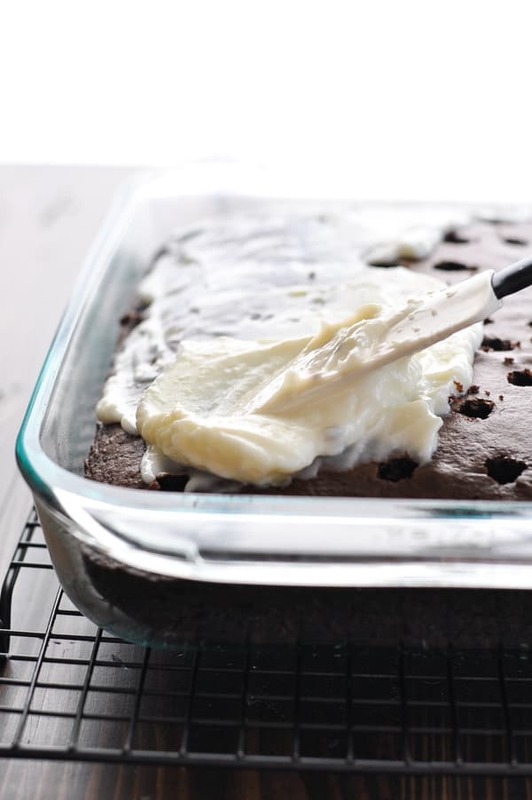 Bake cake in a 9 x 13-inch pan, according to package instructions. 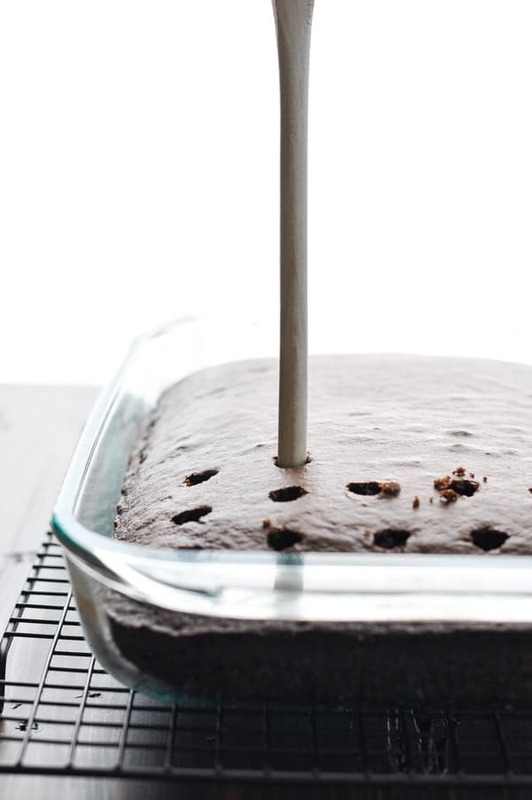 While cake is still warm, use the handle of a wooden spoon to poke holes all over the cake. 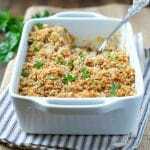 In a medium bowl, use the pudding mix and milk to prepare the pudding according to package instructions. Spread pudding onto warm cake, using a spatula to gently push the pudding deep into each of the holes. 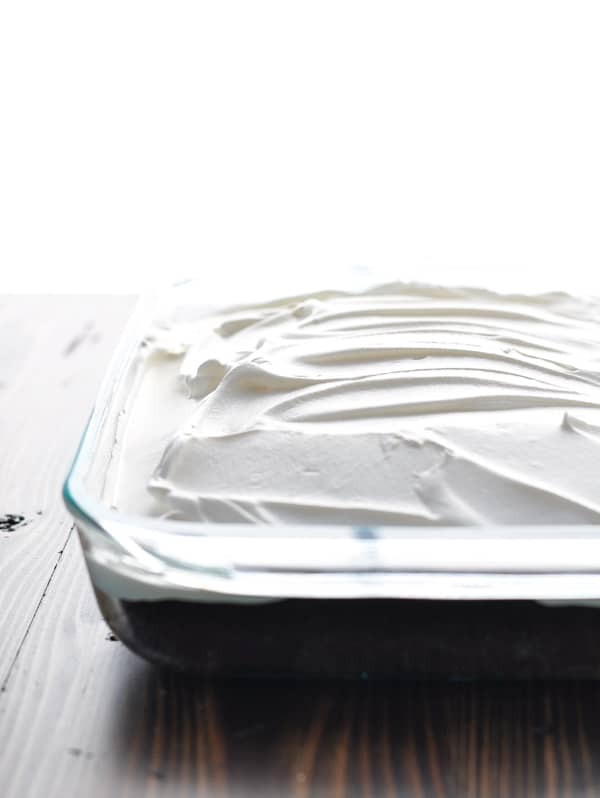 Spread whipped topping onto cooled cake and refrigerate until ready to serve. Sprinkle with crushed Oreo cookies just before serving. 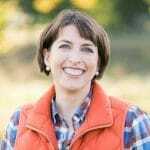 This post was originally published in March, 2013. It was updated in March, 2019. Oh my gosh, it is! Thanks, Karly! Just took it out of the oven, spread the pudding on top and put it in the fridge to cool. I’m visiting the grandsons tomorrow and will bring it along. I’ll let you know how well it was received. Cake was a hit! I used fat free vanilla pudding and skim milk because that’s what I had and I may not have let it set enough. 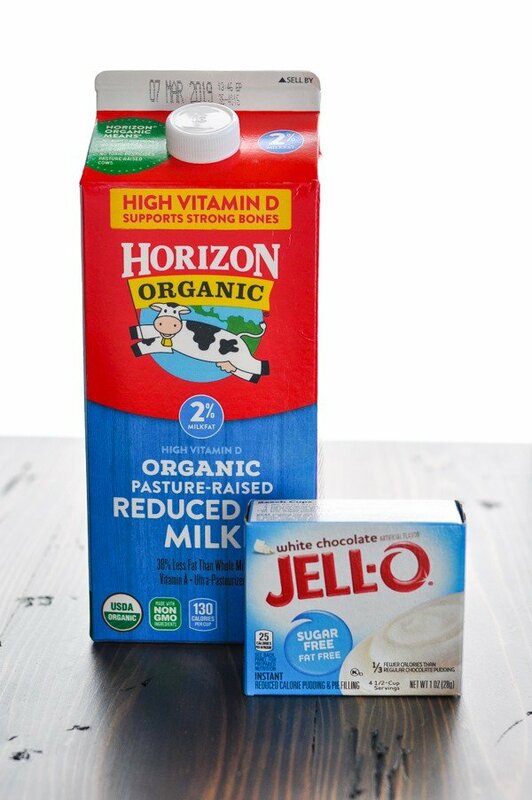 I might try regular instant pudding and a 1 or 2 % milk next time. The pudding looked so nice in the pokes when cut. Thank you for the recipe. 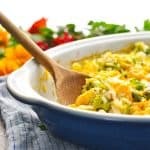 I’m looking for my next recipe to try.